As you can tell from my post title, I do not know what to call this! It is October 21st, and I just wanted to post a not about the month. We started out pretty warm this month, making peak foliage come a bit late, which in turn, did not help our bird hunters. Then we had a freeze and things started to rapidly change. We have had mega rains and wind changing peak into past peak in about a weeks time, barely able to enjoy the colors this year. We went for reds, oranges and yellow to mustard and brown. As for our bird hunters! Once it got cold and the leaves fell, they, well those who were here this past week, said this has been the best bird season for them! We have had temps in the low 30s this weekend and chill factor of about 28. Even some snow flurries. What an odd autumn. Well, it has been an odd year for weather in general. Hopefully, we will have a snowy winter. Get those sleds ready! Here we are, mid deer season and so far, only one of our hunters got his buck. It’seems hanging on the pole while the other 3 in their group are out looking for their tag. With the cold temperatures, any snow in the forecast will begin to coat the woods. Hunters will be happy with that. Good luck guys and gals. Attention hunters! I believe this may be a good year for all. 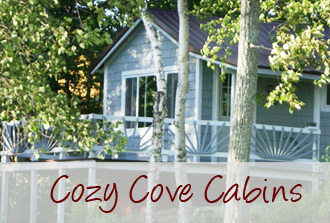 Our guests this summer are seeing more deer, bear and grouse then reported past summers. A few have told us the Partridge were everywhere! And Bears, mamma, babes as well as one quite large one seen just the other day.And a few bucks reported also, which is not often seen so easily. I think they usually hide behind their women! 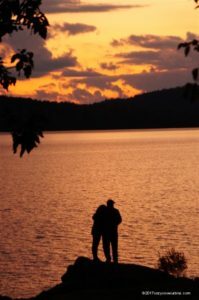 They are seeing them out on the ATV trails, hiking and of course, the favorite pastime, just driving around. Then there are always the Moose, but only if you were lucky to win the lottery. So make your reservations soon for hunting season 2017. Peak foliage may be over but bird season is going strong. Father and son did great during their weekend trip. It does my heart good to see Fathers spending time with their sons…or the other way around. With the rain we had the other night, it should be even better. “Got up later then expected. left here around 5am, fueled up and grabbed a mid day snack at Bishops. 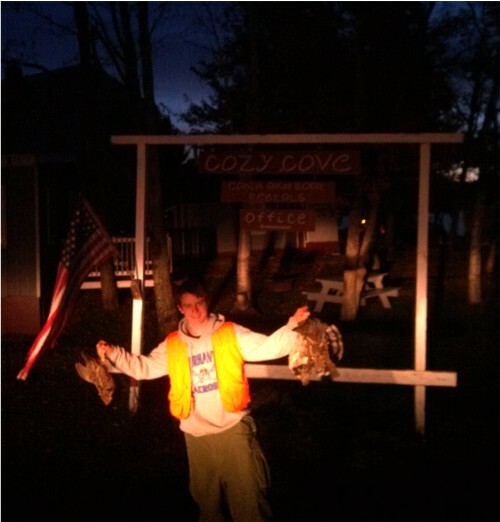 Finally arrived to my hunting spot way up yonder. (Can-t say otherwise it won-t be my lucky spot anymore 🙂 hope you understand) Anyways rode 4 wheeler in, shot a couple birds and turned to return to another good spot. While in route I heard the Big Boy in the bushes. Never saw him but heard him. I shut off the wheeler & continued to hear the bushes smash, crackle, & pop all the way down the hill. I stepped into where I heard it last and caught a glimpse of this big boy-I knew he had to be a good size by the smashing he was doing. So I got a good general direction he was heading so I jumped back out to the road in hopes that he would return to the road because where he was headed was fairly thick. And WAA-HOO he stepped back out-grave mistake by his part…BOOM one shot with my 30-ole dropped him dead in his tracks-shot directly to the lungs ❗ After gutting, tugging, staining, & Swearing a few times in between, my husband helped load which was quite helpful. 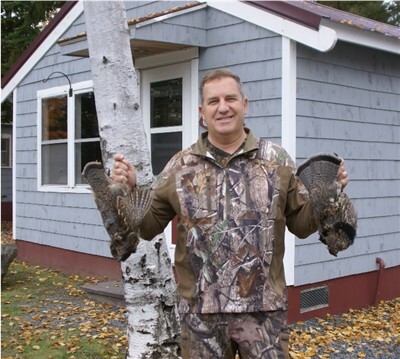 Bird season opened last week and so far, our guests have been doing pretty good. Seems though the ones with the dogs have not been so lucky. 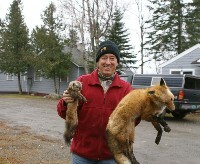 Dan and his son got 2 this morning and are on their way back out. Good luck! 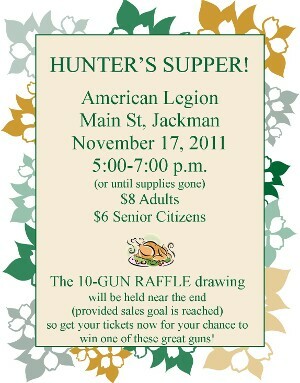 If you are in town this week, do not forget the Hunter-s Supper, sponsored by the JMRRCOC. Turkey dinner with all the fixins…I will be happy to serve you. Deer season is coming to an end and so far, none of our guests got their buck but there is still a week and 3 days left! Good luck guys. 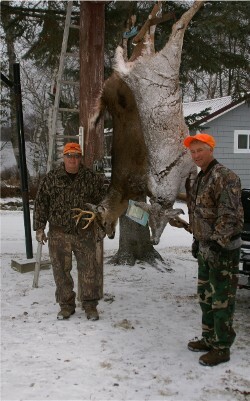 The last week of deer season ended this week and 2 of our guys got their buck. The first week of Deer season is coming to a close. Our Deer hunters left without success but it seems others in the region did pretty good according to Bishops Store. 9 Bucks this week 😯 Much better results compared to 2009. We also had a trapper staying with us this week from West Virginia. He is having a fantastic time in our North Maine Woods. This is his first time in the region and is already looking forward to coming back next year.